I am loving my new breadmaker (Panasonic SD255 Breadmaker) that my lovely boyfriend got me for Christmas. Really clever idea as now I can make speciality breads from home. 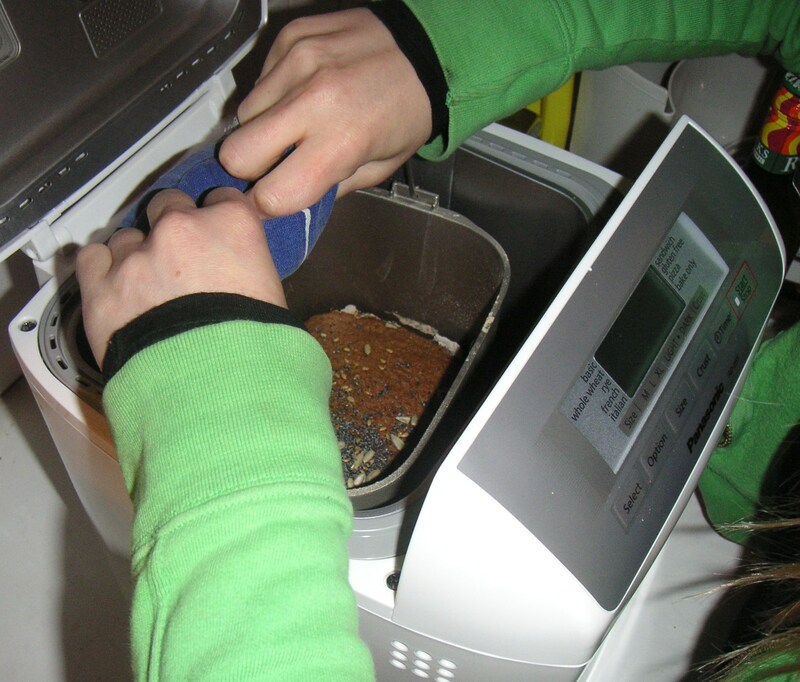 With the breadmaker I can make all kinds of bread including spelt bread, gluten free bread and yeast free breads. It’s also got a special seed and nut dispenser so you can make extra tasty breads. If you’re using the breadmaker to mix as well as bake, how do you prevent the blade tearing the loaf when you try to take it out?